Conductive education (CE) is a unique system of teaching and learning for children with motor disorders such as cerebral palsy and spina bifida. Conductive education was created in the 1940s to help children with motor dysfunction participate and function in society. One of the treatment’s main goals is to avoid learned helplessness by having students identify new achievable goals. In the program, the “conductor” acts as teacher and therapist, and independent functioning using repetition and verbalization by the child is promoted. The exercises are broken down into basic functional movements and are performed intensively (5 hours per day, 5 days per week) in small groups. This promotes interactivity and fun. The use of adaptive equipment such as splints, walkers and wheelchairs in the classroom is discouraged. How Can Conductive Education Help Treat My Child’s Cerebral Palsy? The main theory behind conductive education is that problems with motor skills have less to do with physical limitations and more to do with problems of learning. This form of treatment is based upon the idea that new abilities are created out of teaching. Conductive education is implemented in many different ways, making generalizations about a single program difficult. Uncontrolled research trials show benefit in this therapy, but controlled trials have shown mixed results. Many people with cerebral palsy choose to participate in conductive education therapy regimens as complementary and alternative forms of therapy. If your loved one was diagnosed with cerebral palsy or another permanent disability and you believe his or her diagnosis was the result of medical malpractice, your loved one may be entitled to compensation. 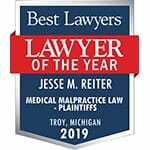 Our Detroit, Michigan birth injury attorneys have helped numerous children with cerebral palsy afford important treatment, therapy, medical, and lifestyle resources such as conductive education. For a free case review, please contact our attorneys today. You may call Reiter & Walsh ABC Law Centers toll-free at 888-419-2229, complete this online contact form, or press the Live Chat tab.